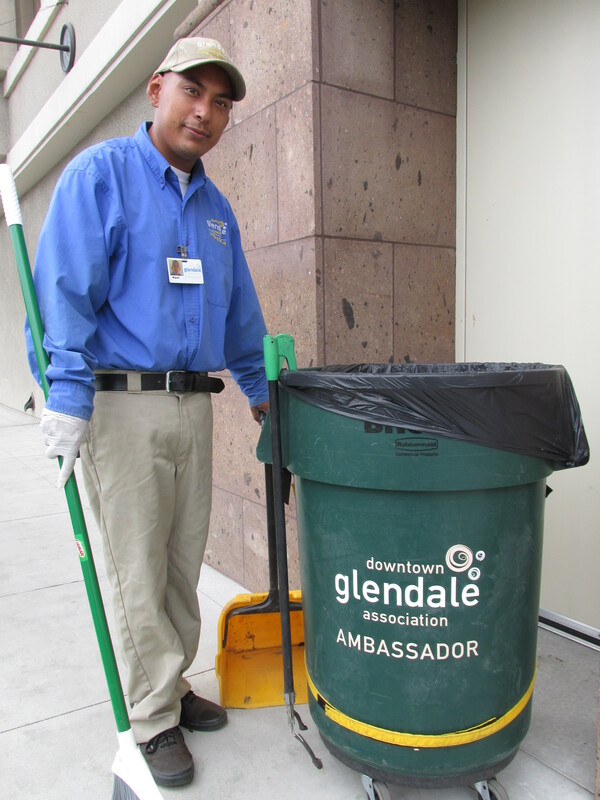 Meet Miguel Reza, one of our Downtown Glendale Ambassadors. Our ambassadors enjoy their jobs. They help folks looking for directions or seeking a recommendation. They keep the streets sparkling clean. Miguel even has carried packages to the car or folks who needed a hand. He lives in Silver Lake and says he loves coming to work every day because he works outdoors with some of the friendliest people anywhere.